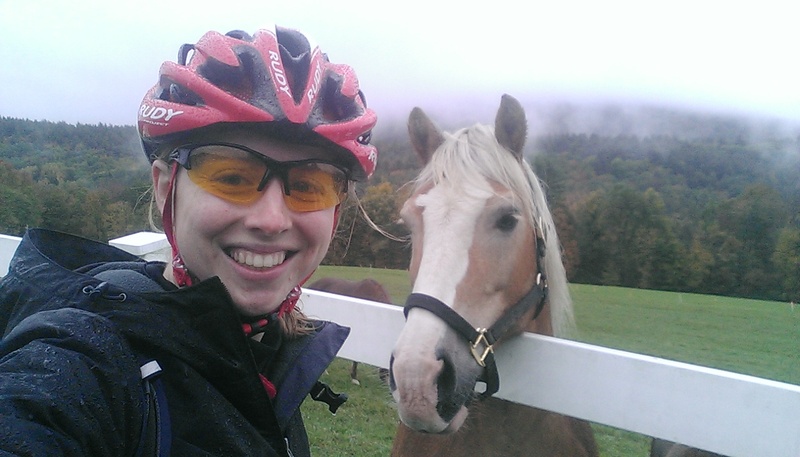 Hey it’s Laura here, newbie MIT cycling member (I’m pretty new to the road team and especially new to mountain biking), checking in. 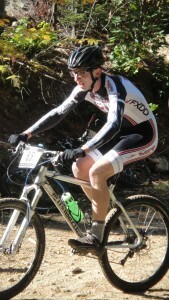 This is my first blog post for the team where I’m going to talk about MIT’s recent ECCC mountain bike race: Sliderule Shredfest! Back in the beginning of the summer I got an email from our captain Lucy with the subject line hey, want to run Shredfest? My initial response was something along the lines of UMMM I just bought a mountain bike like 2 weeks ago that I’m pretty terrible at riding, let alone racing, and you want me to organize MIT’s mountain bike race? But some crazy part of me ended up agreeing to take this on along with the help of Ben Eck and Lucy, and I’m so glad I did. After lots of organizing, paperwork, and some trail work, fast forward to race weekend—driving out Friday, walking the courses at sunset while leafblowing and taping, returning back to Zoar outdoor to set up camp and start grilling (with Ben Eck as grill master extraordinaire)! I was so grateful to have more than 20 racers and volunteers come out to support – I can’t give enough thanks. Saturday morning we packed up and headed up the mountain for the XC. 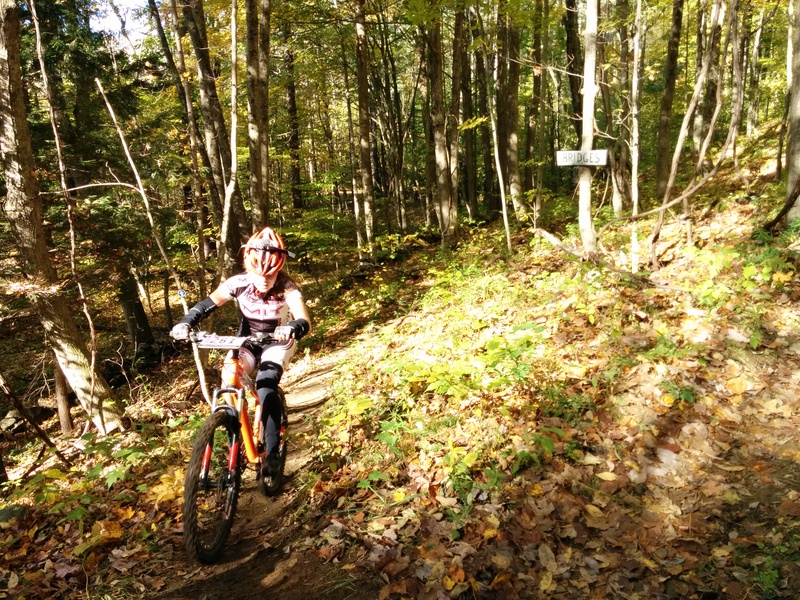 This year’s course was a relatively long loop of 4.2 miles of mostly smooth singletrack, but with some pretty difficult technical sections thrown in the mix, most notably a descent on the Silver Doe trail and parts of Estranged Moose (the trail name we are still trying to decipher). Our team had a great showing, scoring tons of points in lots of different categories. Our two women’s A’s both finished strong with new freshman member Kate Lawrence in 2nd and Lucy coming in in 8th. The women’s B’s included former captain Beth Hadley, and first time racers Laura (me!) and Grace Copplestone (who ended up winning!). In the men’s Cs Carson Teale and John Rom both picked up top 10 finishes, and in the men’s Bs, PK and Matt Carney both ran into major mechanical problems, but still finished the race and picked up some points! In the afternoon we drove back down the mountain to start the dual slalom, which consisted of a steep grassy start with a drop, some gravel/ grassy turns, followed by a long series of berms and pump track. Because it was rideable on pretty much all types of mountain bikes, lots of people decided to try it out and it made for a super fun race and great atmosphere for spectators. We had many MIT racers make it to the final rounds, and was really exciting to watch all the close finishes. After the dual slalom, the team decided to head over to the Shunpike to go sunset swimming in the Deerfield River (who needs to shower anyways? ), and then headed back to Thunder Mountain parking lot for grilling, round 2 (this time, with a multi-team bonfire, music, and s’mores!). Because the trails were so wet, the downhill course was changed from to a less challenging (but still pretty terrifying-looking) trail from the top of the lift. 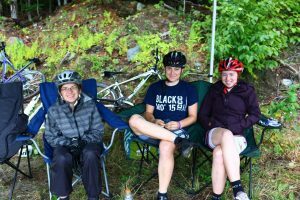 We hiked up the mountain and spread out marshals throughout the course, and watched as the riders blazed down one after another. Both Lucy and Grace did amazing trying out downhill for the first time, while Sean had a top ten finish in the men’s As. Afterwards, Ben Eck broke out the grill again and we hung out on one of the ski slopes for a while with Sully and his dog. 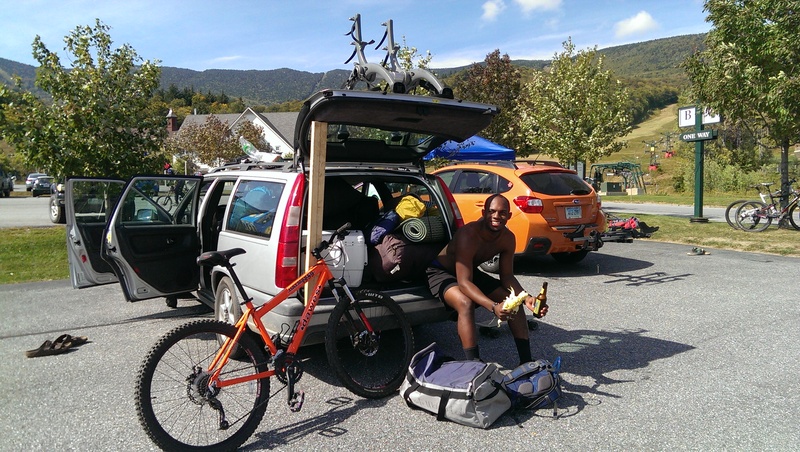 Then it was time to head home, and I realized how kinda sad it was to leave Charlemont—the woods there are so remote and beautiful, snaking with miles and miles of amazing singletrack— and I can’t wait to get back there for Shredfest 2017! This weekend was not only my first time racing mountain bikes, but also my first time organizing a race, my first experience with the crazy awesome mountain bike culture & race atmosphere, and for sure my funnest weekend with the team so far. And it also confirmed that I’m admittedly quite addicted to mountain biking. I won’t lie—especially as a beginner, mountain biking can be really scary, like you’re learning how to ride a bike all over again. But that’s part of what makes it an incredible sport- you try things that scare you a little bit (or a lot), and sometimes you fall and get banged up, but many times you ride things you thought were unrideable and it’s a super amazing and rewarding feeling. I’d REALLY encourage everybody to give it a shot this fall. Mountain bike season is upon us! 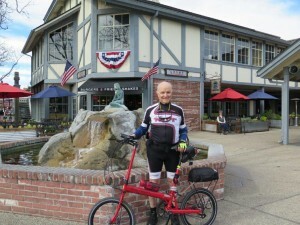 Oliver Seikel (MIT ’59) has been bicycling for 30 years and even biked from Cleveland to Cambridge for his 50th reunion in 2009. Oliver first joined the team for its 2013 Spring Training Camp in Borrego Springs and visited training camps in 2014, and 2015, but was unable to attend in 2016. Why skip training camp? To visit San Luis Obispo and return to Solvang where he still brought his bike. 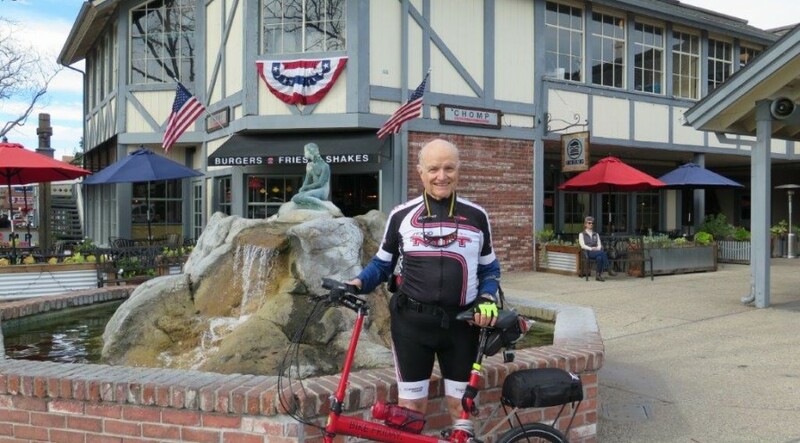 He credits cycling with keeping him younger than his age. His doctor recently told him to keep up his cycling as he leaves his teenager years behind. 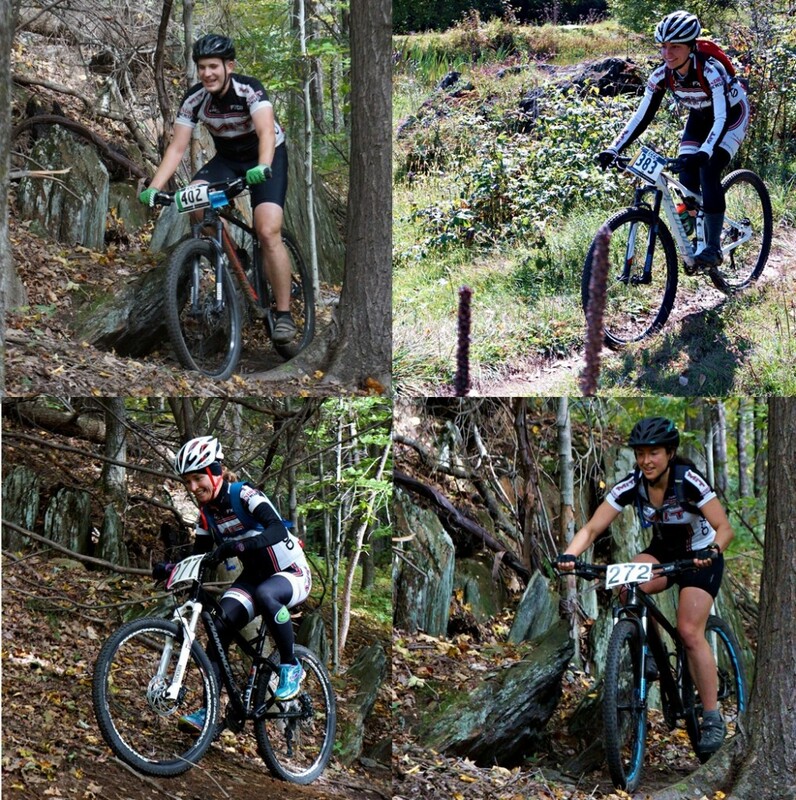 Well folks, we were having so much fun riding our bikes this fall that we didn’t keep you updated on our race season. Our apologies. The season was one of (mostly) great weather, a mix of veterans and newcomers, and tons of fun. The two weekends which really stood out this season were MIT’s own Sliderule Shredfest and the Eastern Championships at Highland. 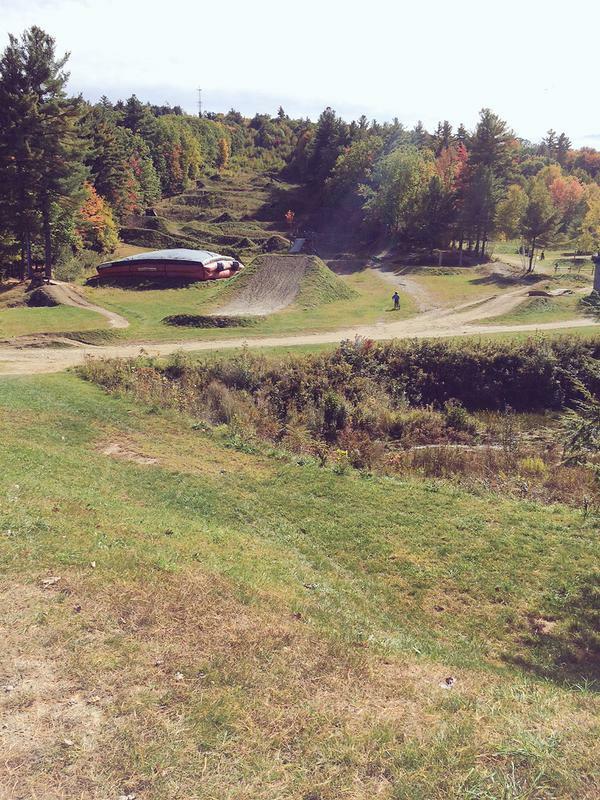 Northeastern University hosted the ECCC Championships on October 10/11th at the Highland Bike Park. 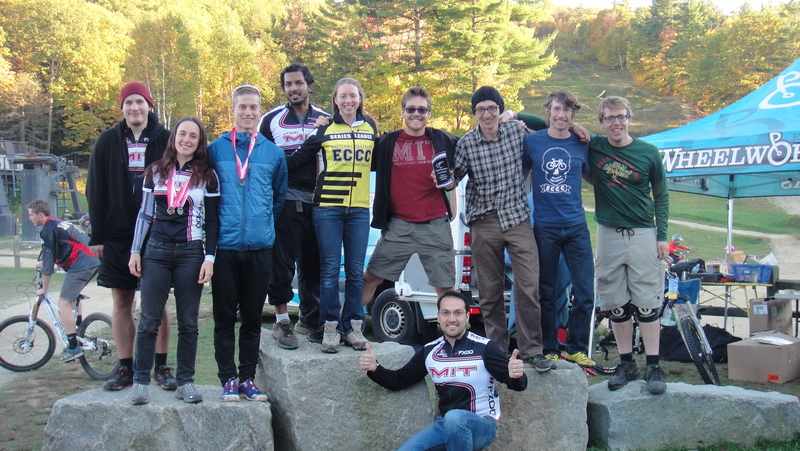 MIT had another great showing, with eleven racers making the trip out to New Hampshire! 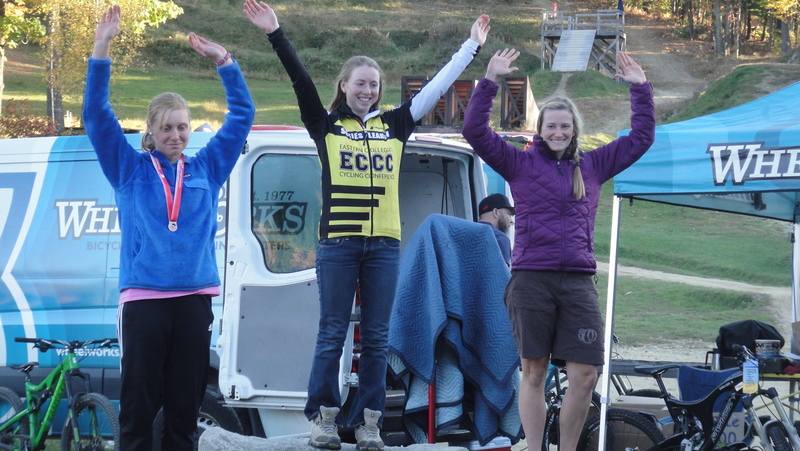 Congrats to all of the riders who raced with us this season! 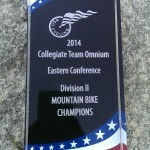 We had 17 riders come out to race this year and clinched 3rd in the season overall D2 omnium standings. 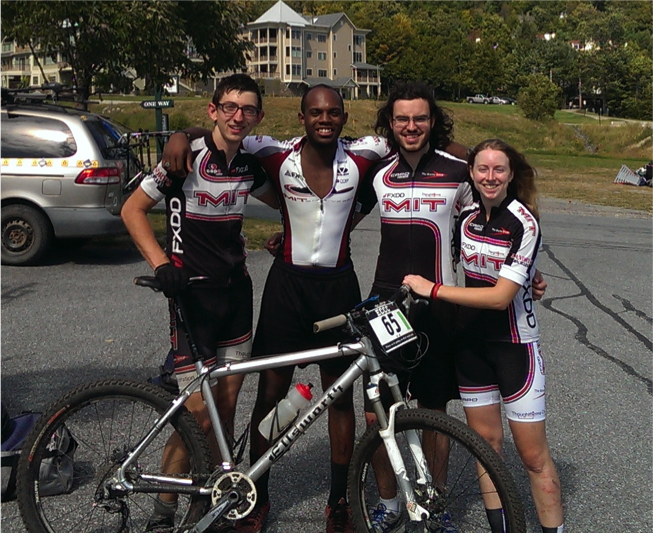 Sadly, mountain season is winding down… BUT three riders are preparing to represent MIT at the USAC Collegiate Mountain Bike Nationals in Snowshoe, West Virginia next week. Get ready to cheer on Lucy Archer (cross country and short track), Sean Daigle (downhill and dual slalom) and Megan O’Brien (downhill and dual slalom)! 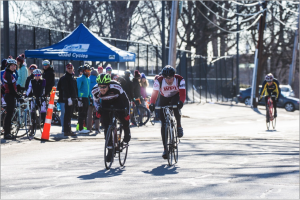 We’ll be sending updates throughout the week, but for up-to-date race info and results, check out #CollNats on twitter and follow @MITCyclingTeam! Now go ride yer bike! I have always loved riding bicycles. When people ask me how I got started I always tell the same story. As a young kid, my mom would put me in a bicycle seat and go riding in the evening. When she felt my helmet hitting her back she knew that I was asleep and that she could go home and put me to bed. I have no way to test if this is the reason why I love it so much, but I like to think it is part of it! As a grown-up, my reasons to ride are different. Of course, there are all the usual reasons (extremely efficient way of transportation, eco-friendly, cheap*, etc. ), but this is also how I develop my personality. To ride long distances you need to train, to overcome obstacles, to adapt to various situations. It is a great way to become more perseverant, grounded and organized. Combine that with the health benefits of cardio-vascular activities and you can become a better person on all aspects! 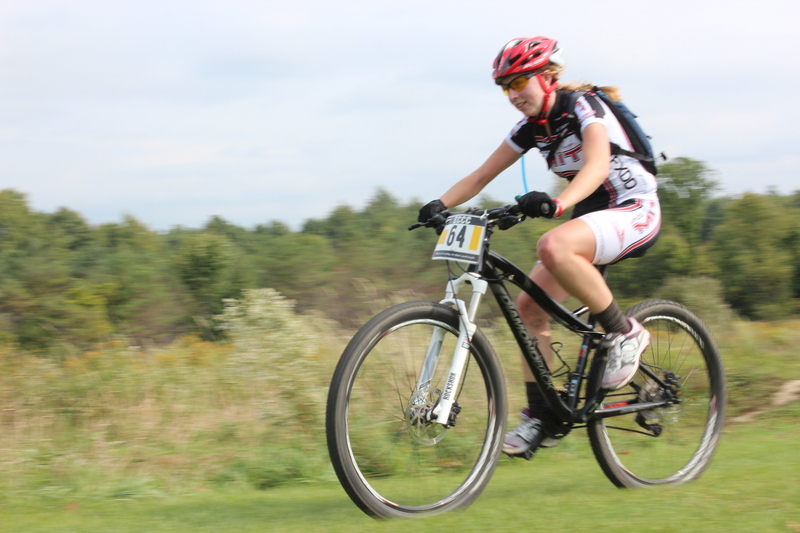 Before joining the MIT Cycling Team I did a few cycling events (off-road triathlon with kayaking, mountain biking and trail running, Eastern Sierra Double Century, a few centuries) but I was always competing against myself, not directly against a pack. I didn’t think that I was fast enough, or talented enough, to do true races. Last September I decided that I would start following the road training plan in November to get in a better shape before a long touring trip this summer. I was thinking about racing once or twice, just to see how it was. 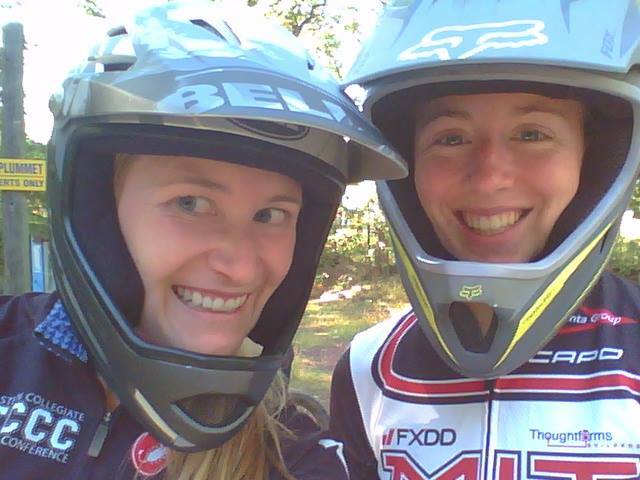 Then Beth convinced me to try a mountain bike race… and I was hooked after the first weekend. Don’t get me wrong, it was painful (my heart wanted to escape my chest, I felt disoriented, my glasses were all fogged up…), but I knew I would try again and again. 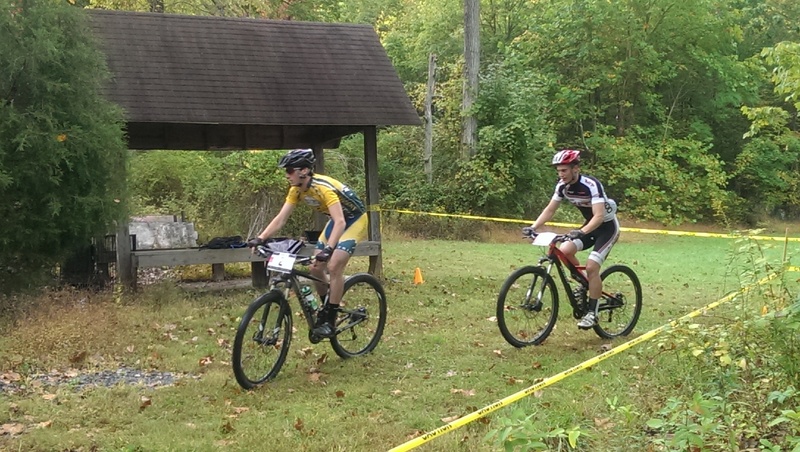 I raced three weekends, and I got so much better in such a short period! Being passed really helps bike faster. In November I started the road training plan. This was the first time that I was doing structured training and I made a point of following the plan as closely as possible. Initially, the hardest part was to stay in Zone 2. 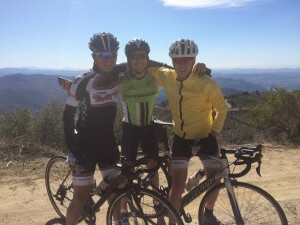 Completing a 2h training ride without heavy sweat was new to me. My training volume was higher than in the past, but my legs didn’t feel heavy like before; the plan had some benefits! The threshold intervals were really intense; I had no idea that I could keep such a high heart rate for up to 50 minutes. The real test was to race. Before my first road race I was anxious (Will I get injured in a crash? Will I bonk after 5 minutes? Strategy?). Then the same thing as for mountain bike racing happened: I loved it! It is so intense, you need 100% of your body and 100% of your mind. You get in a zone where you have a strange mix of tunnel vision and complete awareness of your surroundings. Looking at the shadow of a fellow racer to know when to start your sprint is an awesome feeling. None of that would have been possible without the training plan and all the great advice I received from team members. Only 9 months after I started collegiate racing I’m forced to retire, as I’m getting my Master’s degree in a few weeks. 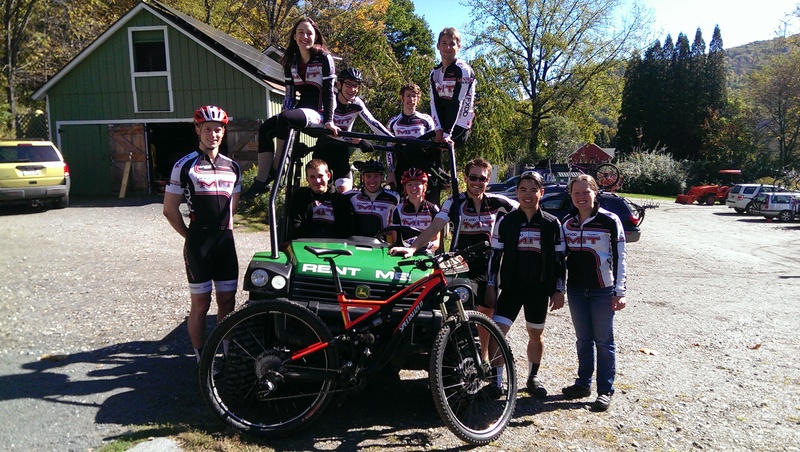 Joining the MIT Cycling Team was a great idea; I learned a lot about bicycles, about racing, and I met wonderful people. We won!!! 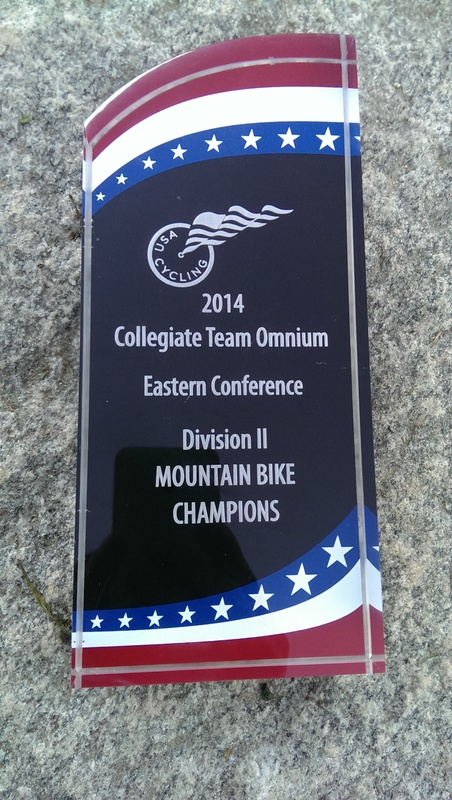 Yes, the MIT Cycling team has done it again – we’ve brought home a trophy. 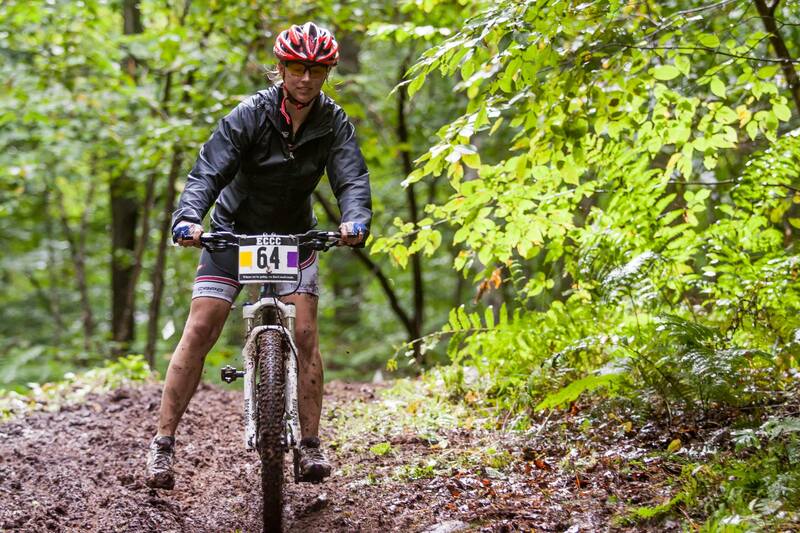 But this time, we’ve won in a discipline we haven’t done well in historically – Mountain Biking! Our team was awarded Division II Team Omnium at the Regional Championships at Highland, meaning our team earned more points in total this season than any other Division II team. 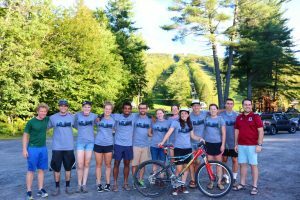 To put these numbers in perspective, last season 10 students raced mountain bikes in total, and races averaged around 3-4 people per race. What do these numbers indicate? 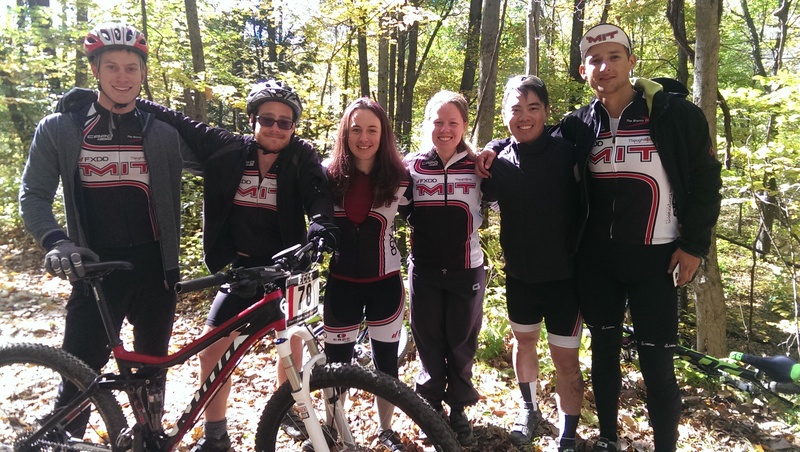 That the MIT Mountain Biking team strongly encourages new members to try out the sport. 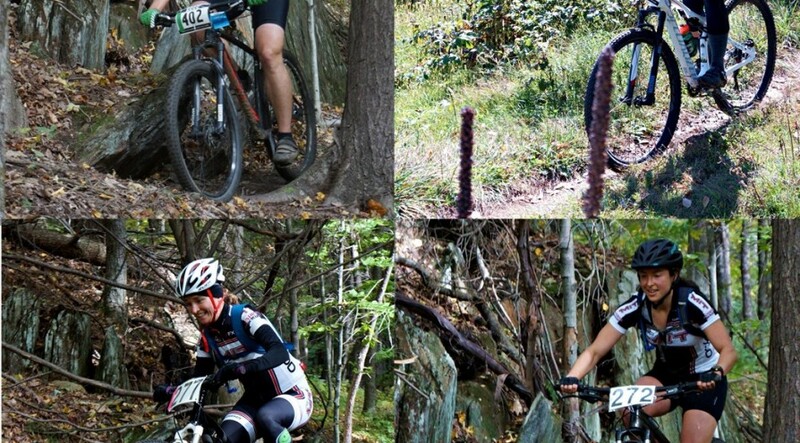 We facilitate this by renting out MITOC bikes (mountain bikes owned by our outdoors’s club). 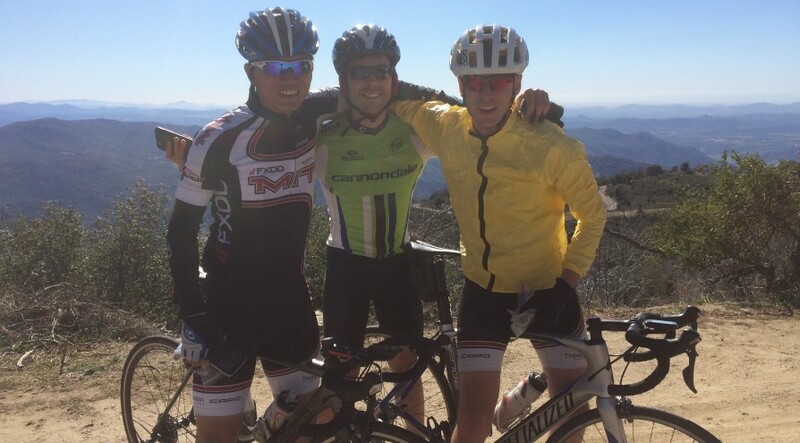 A few years ago Ben Eck (former team captain) advocated to purchase 4 MITOC bikes, and they were certainly well used this season. 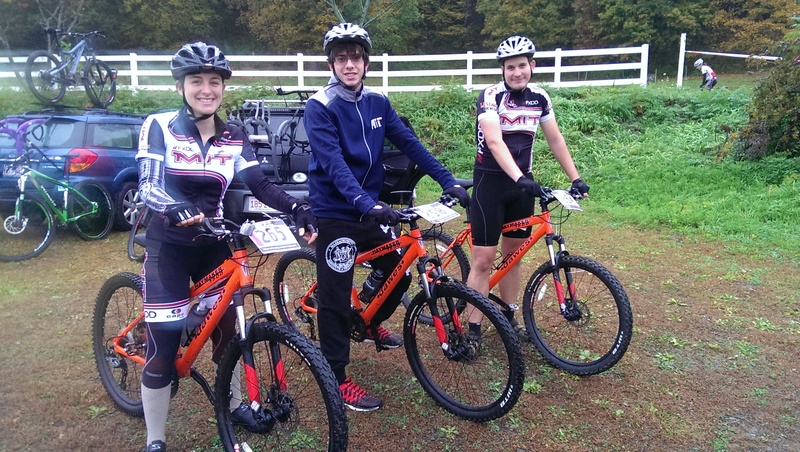 We hope that the students who tried mountain bike racing for the first time this season will continue racing in future seasons, especially given our tremendous achievement. Now you may still be wondering how is it that we managed to win team omnium? Well, every point matters and we had many participants. But we also had many, many strong finishes throughout the season. I’ll leave that list to another blog post…coming soon. But finally, our team won because we function as one cohesive unit. We enjoy spending time together, sharing advice with eachother, and cheering for eachother. We race because that’s what we enjoy doing, and we are an excellent example to other teams in our division because of it. As captain, my proudest moment was not standing on the podium or winning team omnium. It was being able to watch so many MIT racers cross the finish line with a smile on their face. I am proud of the joy I have brought to each and every student who raced this season, because Mountain Biking is truly a unique sport and one that I’m so happy to be able to share with so many of my teammates. 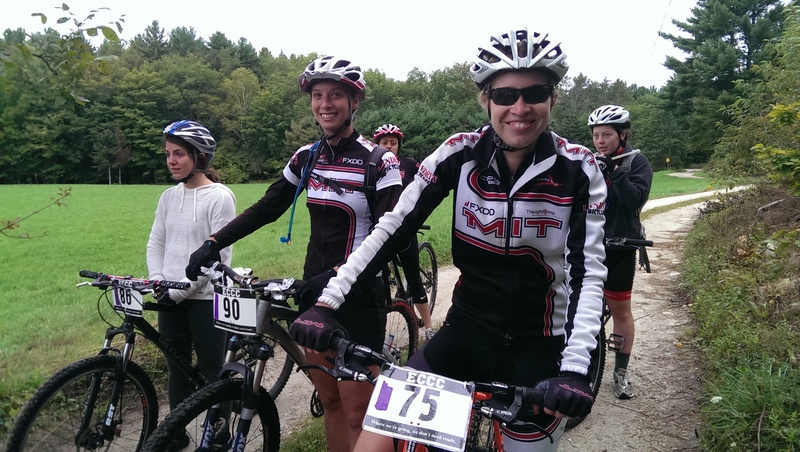 MIT MTB Race – A Smashing Success! The Bruises Mean I’m Doing it Right… Right? Following on a theme, Beth managed to convince me to come out and race the event MIT hosted this year, the Sliderule Shredfest, last weekend. Honestly I didn’t need that much convincing, mostly encouragement, but I got what I needed and with about 45 minutes of practice along the Charles I headed out to Charlemont on Friday evening. I had been promised rain, bbq, beer, fun, mud, and bruises (not necessarily in that order, of course), and the weekend definitely did deliver! Provided we don’t count the weekend with my parents in Tahoe when I was 12, or the 45 minutes along the Charles last Thursday, my first time on a mountain on a mountain bike was Saturday morning’s cross country race, the second time was for short track, and the third was for the team relay. I’m not quite sure what I was expecting, though I don’t think it involved quite as much climbing as the XC course started with! Luckily I was behind most of the other Women’s B racers and, following their lead, I walked (I’d rather say I sprinted, but it wouldn’t be true) up the mountain with my bike in the hope that it would get better. It definitely got better, and I managed to almost fall off the mountain only a few times! The second lap went better and faster (I think…), though apparently once a little too fast, as I learned my first lesson of non-road riding: the endo. No harm done to either me or the bike though, and apparently I came in third! Not too bad for my first time on a mountain on a mountain bike. Check out those MITOC bikes! 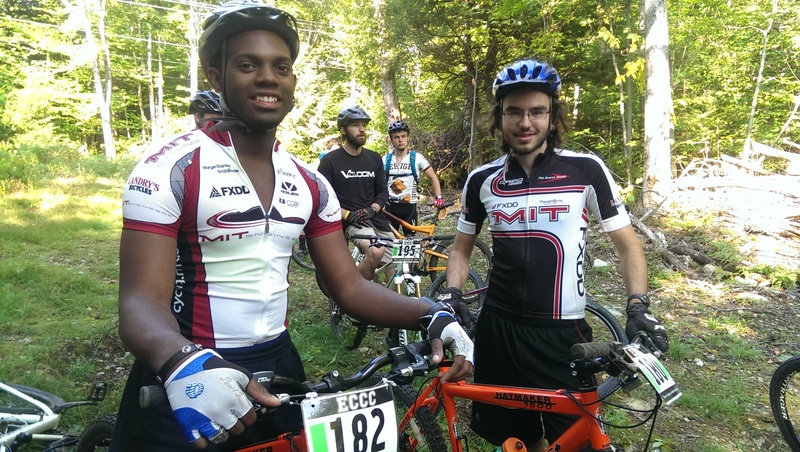 These MIT racers were able to race thanks to the bikes they could rent from MIT’s outdoors club. After three hours standing in the rain watching the A and B racers race, and a brief visit to the six inch deep mud puddle that was the bottom of the Dual Slalom course, it was back to the lodge (yes, there was real shelter for the weekend, it was nice and dry), we made the discovery that there was both a washing machine and a dryer, which meant that I’d have clean, dry kit forSunday! The hot showers were also a wonderful, glorious thing. The evening was beer and lots of bbq, including burgers, chicken, brats, and ribs. There was a reasonable amount of social time, until I realized that I was curled up in a corner falling asleep and retreated upstairs to sleep. Sunday dawned wonderfully clear and sunny (though a little cold), and we all headed out for short track. The course was fun, though it did involve me learning the meaning of ‘off camber.’ I made it through nearly all of the course at least once (out of four laps) reasonably successfully, and didn’t walk the bike once on the last two laps! I’m quite proud that only three of the Women’s A riders (including Beth) lapped me twice (women’s A and B were combined because there were only 3 B riders). I also had a lovely moment when a root shoved my bike out from under me and dumped me off the trail at exactly the right time for Beth to get past me, which was quite convenient. MIT ran both A and B teams for the relay, since we had enough people to do so, and MIT won the B race! I’m not especially responsible for that, since I did 1 lap out of 8, but I think I can still share in the awesome. 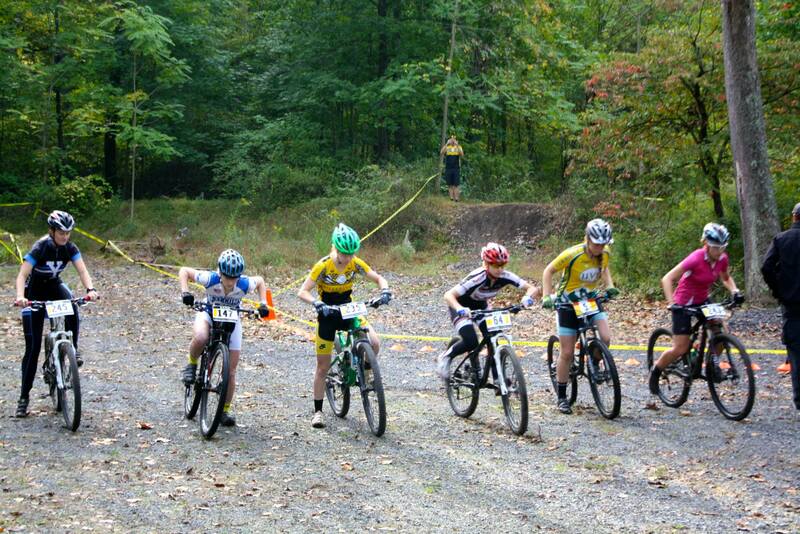 Katie lookin’ legit in her first ever mtb race! I’m not sure when it happened, but over the course of the weekend I decided that this mtb thing was far too much fun to not do again, and I’ll be heading out to race next weekend too! That said, I’ve figured out why the Club level memberships come with one race weekend: it’s a devious plot to get us hooked so that we can’t do anything other than go back for more. Don’t fall for it! Wait, what am I saying. Fall for it, really, it’s a ton of fun. So many smiling faces post-race! Message from Beth: I’d like to specifically recognize and thank Ben Eck and Luke Plummer for organizing this race weekend. They demonstrated tremendous initiative to propose the race months ago and worked all summer long to prepare the courses and ensure the race run smoothly. We are very proud of Ben and Luke and the entire MIT team of volunteers and racers who helped make such a great weekend possible. 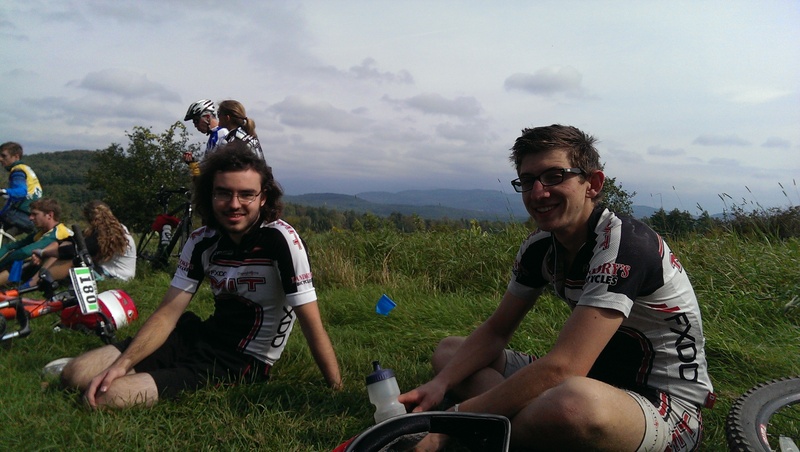 This past weekend we fearlessly headed down to Pennsylvania to race probably the most technically challenging courses of all season. 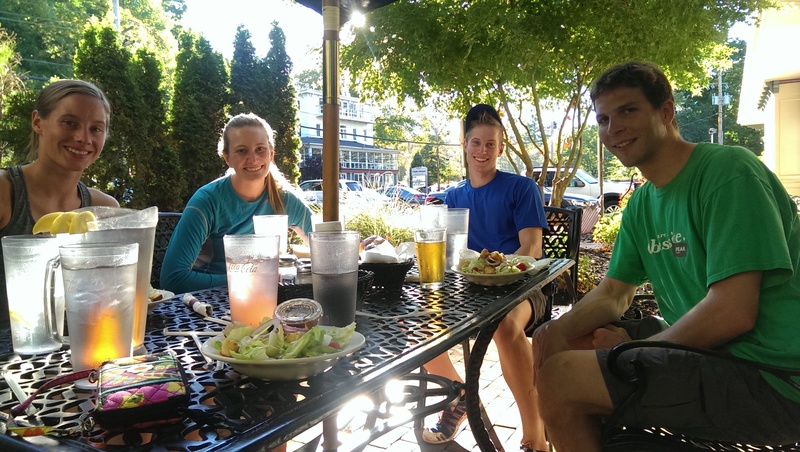 Beth, Meg, and Alex were our courageous MIT racers, and we were joined by Simon who races for Harvard. This weekend proved to be quite an adventure for each of us, making the weekend one we’ll be talking about for many months to come! 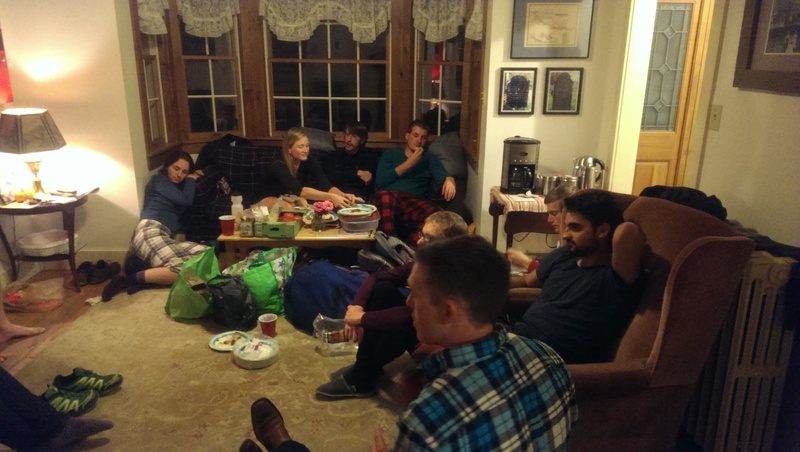 The following blog post brought to you by Alex Springer, who raced his first collegiate race this past weekend at Drexel! Congrats Alex for a great first race weekend! 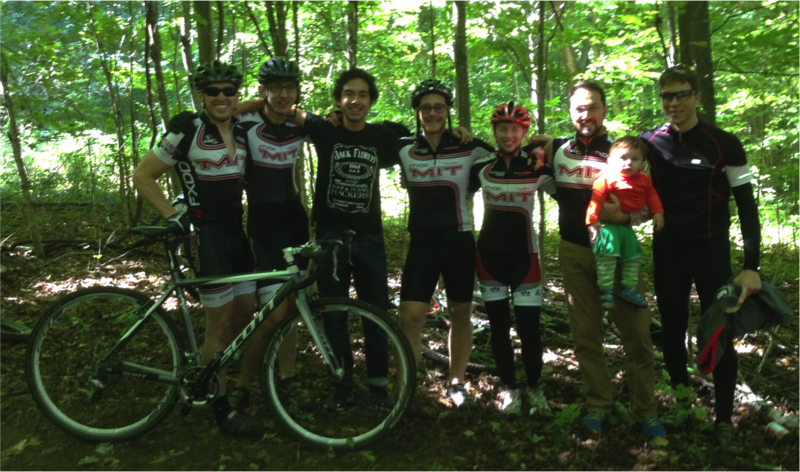 I completed my first (of many, hopefully) cycling races with the MIT Cycling team this weekend at the Drexel MTB race. Without a bike or any excuse to say “No”, I accepted MTB Captain Beth’s (frantic) request to come out and race with the team in Drexel, PA. 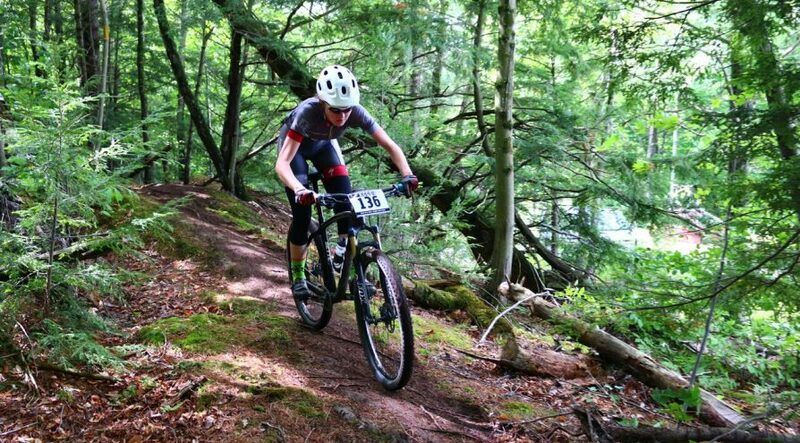 Despite the course being 5.5 hrs away, it turns out that the old adage; “Good things take time” is true, because I had an absolutely epic time mountain bike racing this past weekend. 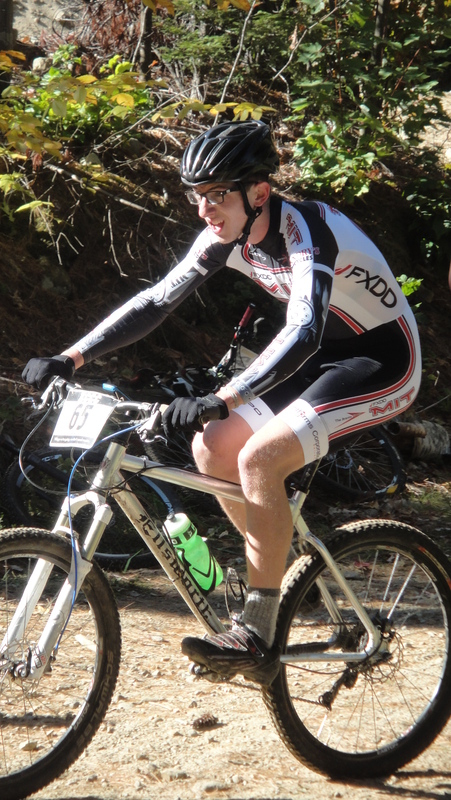 I had raced MTB a few times while in high school, but since coming to college I had not touched a mountain bike in just over 3.5 years. Nevertheless, that didn’t seem like a good enough reason not to race so I hopped on a borrowed bike (Thanks Ben Woolston!) and set off for the races. I started with the XC course and I was riding pretty strong sitting in 3rd or 4th place until I hit the downhill section and thought my technique was much better than I actually was. I completed the endo and fell down the hill twenty feet with my bike. Luckily, I was fine…the bike was not. 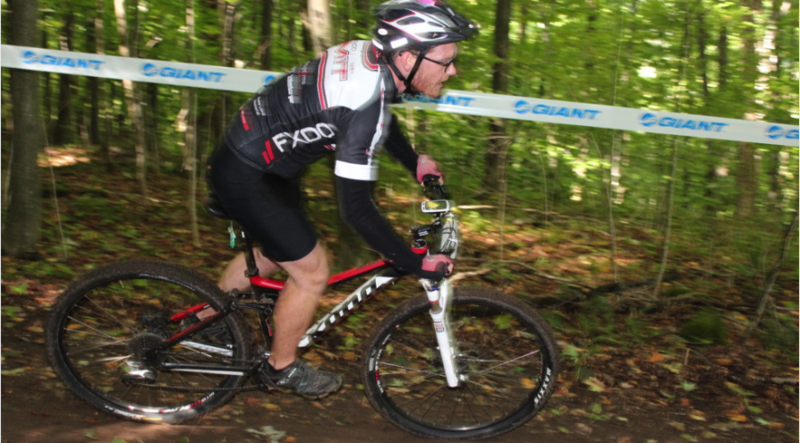 I snapped the rear derailleur hangar and had to DNF the race. However, I found a local bike shop with the correct derailleur hangar and was back in business by the afternoon for the Clusterhuck which was a team relay with me and Beth. I did the hill climb and she rode the downhill portion. The race was less than seven minutes, but I started to feel the excitement of racing that I recalled from high school bubbling up inside. 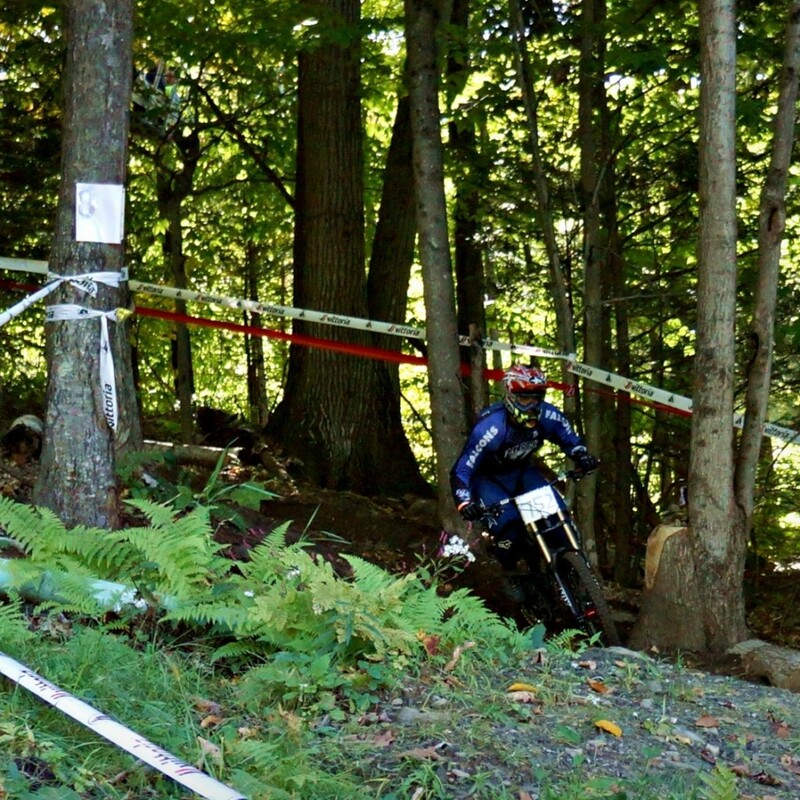 Best part about racing downhill? The helmet. Molly [left] from Yale (and adopted by our team) and Beth get ready to tackle the clusterhuck. On Saturday night the team took a jaunt over to the Tiki Bar which was an eclectic bar situated at the base of the ski mountain and bike race course. The bar certainly played up the island theme which was an odd feeling being in the middle of a ski resort. After many games of rummy (the card game, not the drink), we decided to turn in for an early night with racing the next morning. 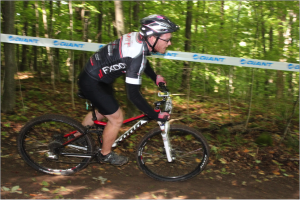 Having had the DNF the day before, I approached the short track race on Sundaymorning with fresh legs and a goal of completing the race. I ended up exceeding my goal and took first place which was quite surprising for me. I raced pretty conservatively having taken the lead during lap two of four and rode steady throughout the race in order not to break myself or the bike. The weekend concluded with the team relay which I raced with Beth which we won by default because no other teams had a girl. Despite a few cuts and bruises gained over the weekend, and a ripped jersey from a too-close encounter with a tree, I was happy to be in one piece and end with the team win in the relay to cap off a great weekend! 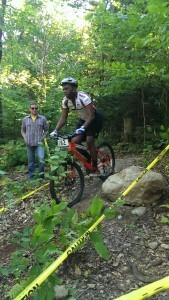 Simon looking good in short track! As I write this, I’m already looking forward to the upcoming Sliderule Shredfest hosted by MIT. Having not touched a mountain bike in over three years to winning the Men’s B Short Track certainly instilled my love of mountain biking once more, and I can’t get wait to get out into the mud once more. One of the highlights of the weekend for me was dinner Saturday night – we found this historic and adorable italian place that was clearly the “place to be” on a Saturday evening in Schwenksville (yes that IS the name of the town). The portions were enormous and delicious, and we really enjoyed just hanging out, resting our legs, and chatting. And the dessert…oh, yes, the dessert…. This post brought to you by new MIT racer, Dirk Stahlecker. 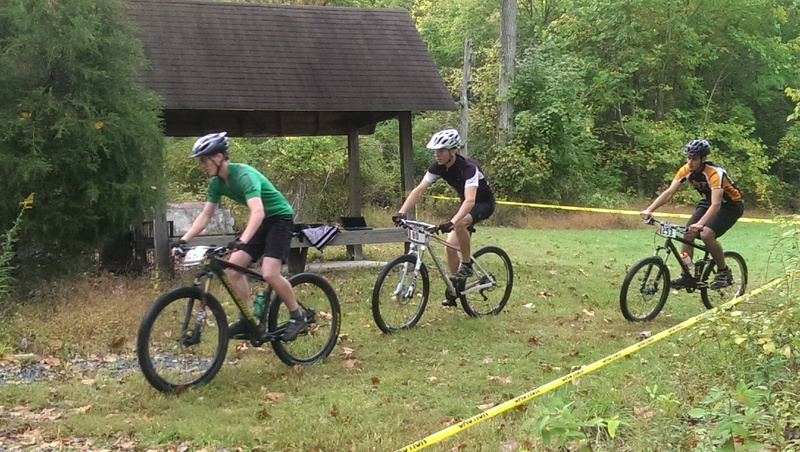 This past weekend I got to experience something I’ve been looking to do for years now: race something with wheels! 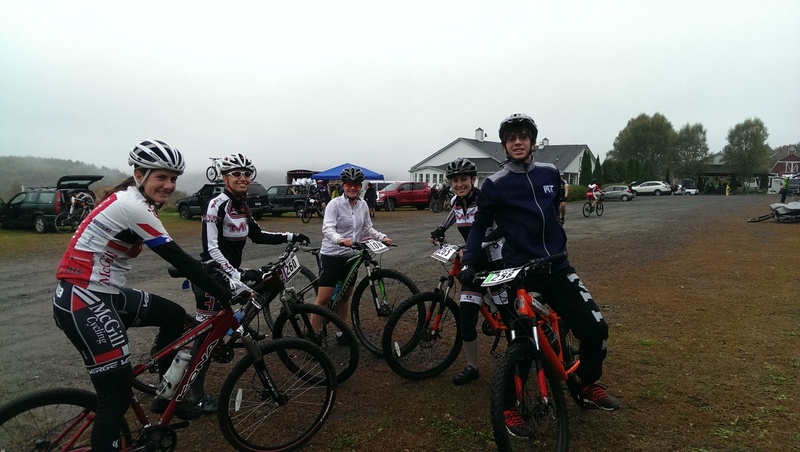 I’ve mountain biked for years, but never had the opportunity to race before, and it was so much fun! There’s nothing like feeling the competitors at your back to motivate you to pedal harder and go faster. 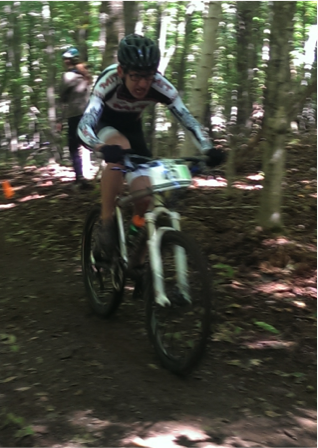 Ben Eck clearly enjoying his race! I will say, however, that I really had no idea what any of it would be like when I signed up. 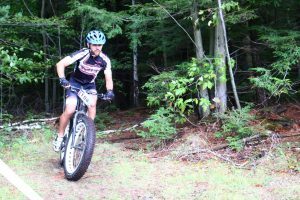 I knew I enjoyed mountain biking, especially the going downhill aspect, so I signed up for three events: cross country, short course, and dual slalom, figuring since I was there I might as well try everything out. Cross country was first. As we lined up at the starting line and raced toward the first corner, I found myself on the outside about 4 or 5 wide going into a downhill grassy turn. Next thing I knew, the person on the inside had clipped my handlebars and both of us were sent flying into the ground, collecting probably 6 or 8 others behind us in the wreck. The rest of the race was uneventful (other than a few wrong turns on the poorly marked course), but definitely a good ride. Nice and flat and fun. Emele and Dirk just before their race! 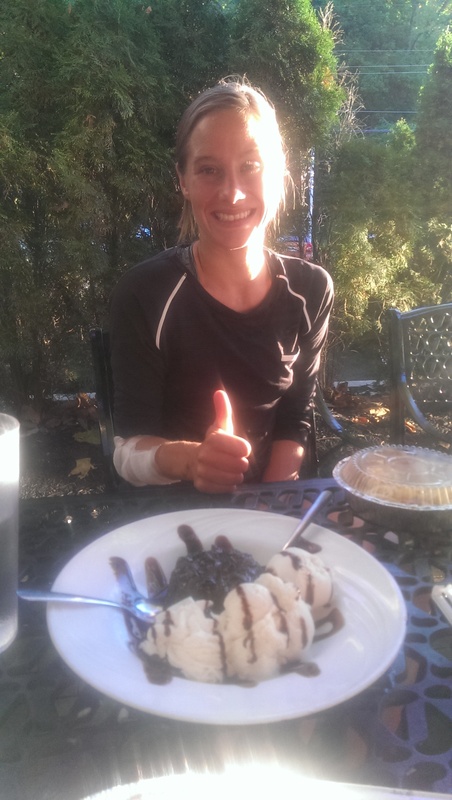 Beth – smiling, because racing is fun! I couldn’t wait to check out the dual slalom course next. It’s a side-by-side track downhill, with jumps, whoops, step ups, step downs, and tabletops, and it’s so much fun to ride! I loved the technical element – you had to set up perfectly going into each element to make sure you cleared the double or held enough speed through the corner. It was a full adrenaline rush down, and very technical, which was really fun. I crashed pretty hard a few times (and unfortunately in my seeding race as well), but it was definitely my favorite event! Proof of Ben’s tasty and much needed cheeseburgers. Ben – kudos to you for some serious grilling skills. Beth and I were the only two competing in the slalom. 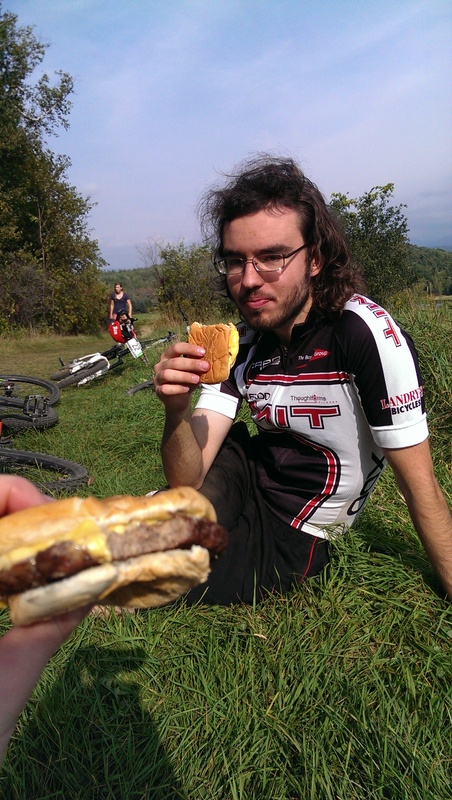 One of the highlights of the day was when Ben showed up at the top holding hamburgers for us that he’d just grilled! It was a precursor to a fantastic dinner at the campsite that evening after the race was over. I’d forgotten just how much better food tastes when eaten while camping. The next day was the final event, short course. I didn’t really know much about this event going in, all I knew was that it was shorter than cross country, which I was happy about. Turns out that the course was only about two and a half minutes long, and we raced it for 20 minutes. It was fast and fun, but there were a ton of rocks and roots to contend with. It made me really wish I had pedal clips, as I had trouble keeping my feet on the pedals on the downhill. The race was a lot of fun though. The starting line was set back in a very rocky, rough area, and it was a short sprint to the essentially singletrack first corner. There was a mix of pedaling and just running off the start. I decided to pedal, and actually managed to get the holeshot, as I was the first one to the corner! I actually held the lead for most of the lap! That was definitely the highlight of the weekend for me. I still don’t quite know how I managed it, but it was super cool. Overall, the entire weekend was a great experience. It was awesome to get out racing mountain biking again, and especially be able to be around others who enjoy it as much as I do. I’m definitely looking forward to my next race! 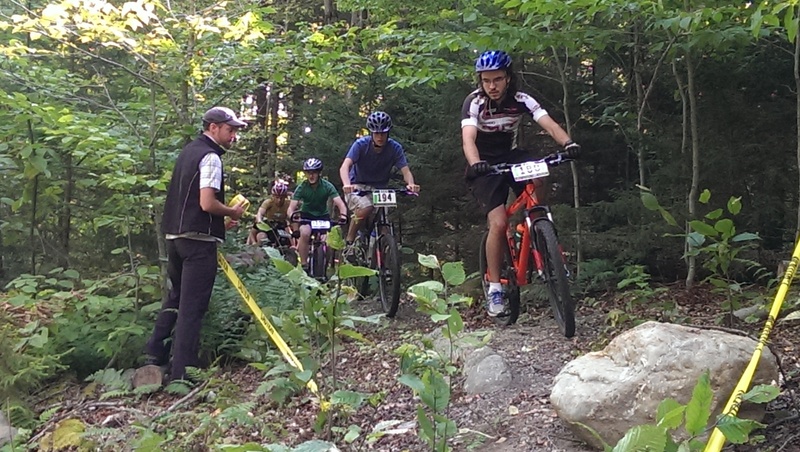 Great turnout for Northeastern MTB Race! 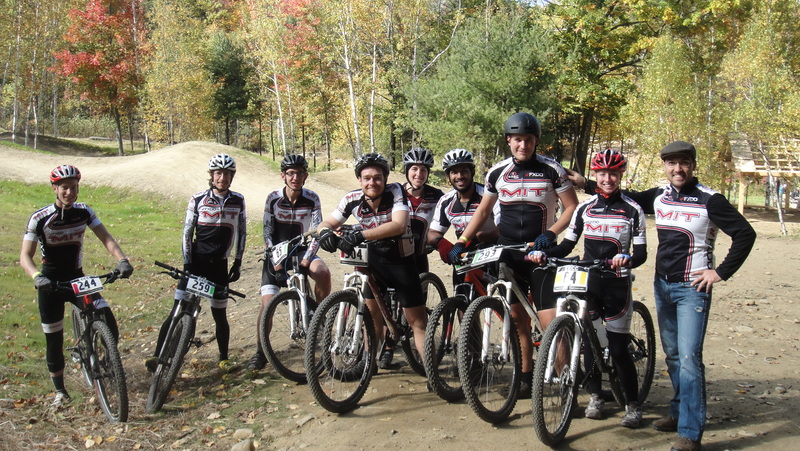 We had a fabulous turnout for our second mountain bike race of the season hosted by Northeastern in Western Massachusetts. 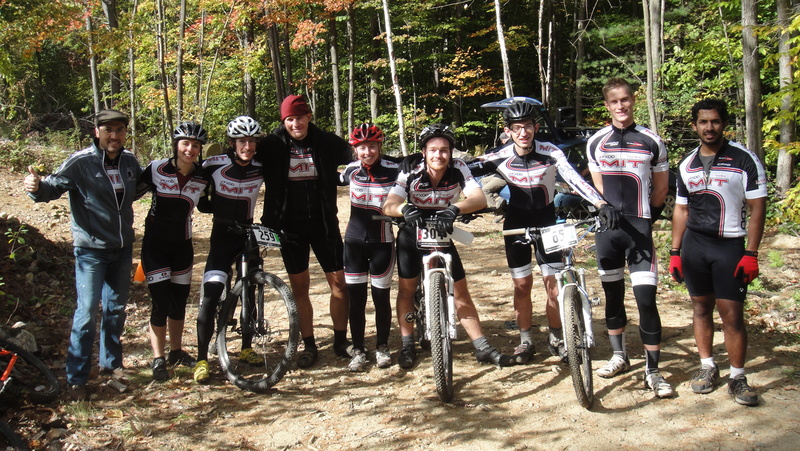 MIT racers included Ben Eck, Jeff Duval, Beth Hadley, Zeb Hanley, Anna Cheimets, Marcos Esparza, Corey Tucker. We were also joined by Simon Chaput, Harvard’s MTB captain and Matjaz Humar, who raced in the open category. 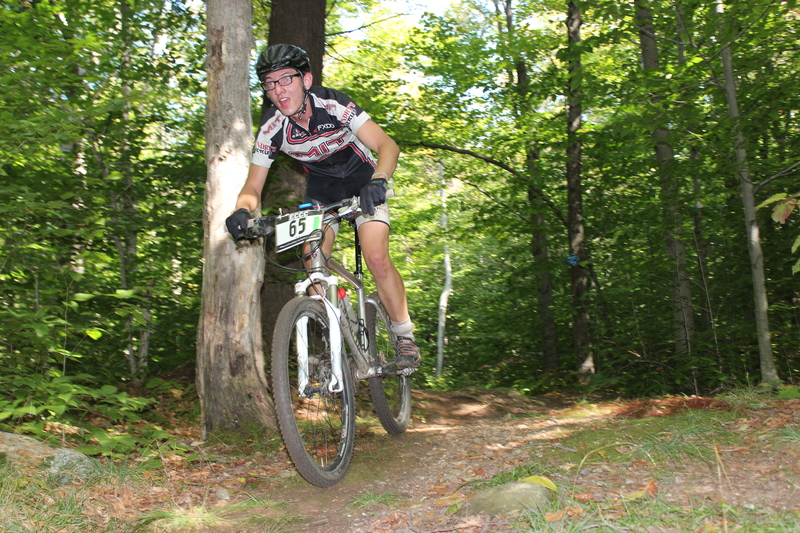 Our mountain bike coach, Coach Psi, also joined us Sunday. He was a great motivator during races (especially as he stood on the uphill section and urged us to pedal faster), and we thoroughly appreciated his presence. 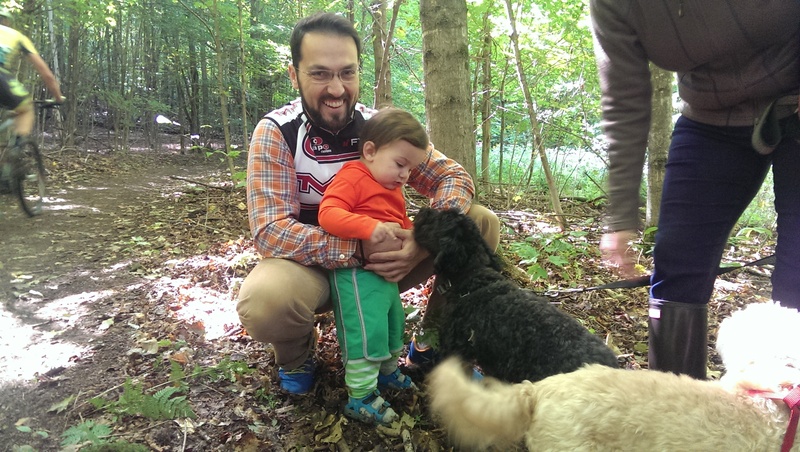 He brought his son, Spiro, who loved to explore the woods! Coach Psi and his son, Spiro! Thanks for coming out to cheer us on, Coach!! One of the highlights of the weekend (other than the 10+ hours of sleep we enjoyed Saturday night and the ample consumption of s’mores Friday night) was the dinner location we found on Saturday night – Ben Eck found a quaint rustic restaurant with hearty food and delicious hot chocolate. Dessert was irresistible – two cinnamon donuts and pumpkin ice cream drizzled with caramel. The first bite was like having Fall in your mouth. Overall, a great weekend had by all! 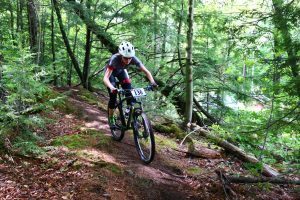 The following entry is written by Anna Cheimets, who talks about her experience during her first ECCC Mountain bike race. She and Corey had a rather unexpected bee encounter during their first race, and both were quite courageous to drive home with smiles. “I’ve done enough casual mountain biking to know that you haven’t had a successful day of riding unless you are bleeding, bruised or both. This weekend turned out to be exceptionally successful for me by that standard and also quite a bit of fun. On Friday night we drove out to Dalton MA and pitched our tents in a field right next to the cross country racing course. The Northeastern riders had built a bonfire which we gleefully took advantage of to make s’mores- delectable fuel for the day ahead. Thanks to Beth for bringing the most important ingredient for camping. As I hunkered down in my cozy tent that night, I thought about my race the next day with nervous and excited anticipation. The whole camp awoke at 7 a.m. sharp, initially roused by an errant car alarm and then coaxed outside by blaring music that set the mood for a weekend of racing and chilling with mountain biker bros. There wasn’t much time to do more than register, eat a quick breakfast and get on the starting line for the Women’s B cross country race. Corey and I sized up the racers on the starting line and then we were off! Our courageous racers, Anna [left] and Corey [right]. I was immediately winded as the course turned sharply uphill and stayed a bit hilly for much of the first part of the loop. Then all of a sudden, we were all attacked by a swarm of angry wasps who were incensed about being trampled on. Boy did that get me moving! Soon after I had sped away from their reach, I started to get more into the rhythm of racing. The swooping downhill sections were flow-y and fun and as I got towards the end of my second and final lap I was closing in on the second place rider in front of me, hoping I had enough steam to overtake her at the end. On the final turn onto the gravel road, I decided to make my move into second place. Unfortunately, I didn’t heed Corey’s wise advice about how bumping into other riders frequently bumps you off your own bike as well. I squeezed too close to my rival and wiped out in the gravel. Covered with dirt and sand, and hazily aware of my thoroughly skinned knee, I grabbed my bike and ran it past my startled opponent and across the finish line! Bleeding, bruised, stung, winded and feeling fully accomplished, I cheered Beth, Zeb, Ben and Marcos on in their cross country races. 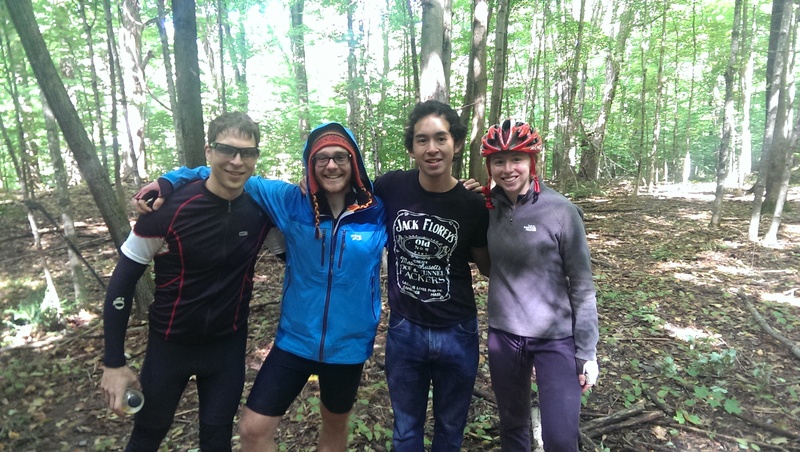 Simon, Jeff, Marcos, and Beth hanging out between races! Ben Eck showing off his serious pain face!